Woo!! 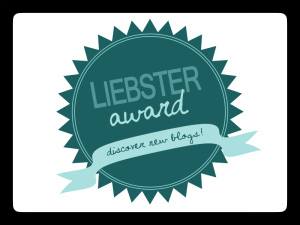 I was nominated for a Liebster Award from Interblog!! Such a cool chick so go check her out! Thanks for the nomination, girl. Being a beginnger blogger, this is an awesome way to go check out what other bloggers are up too. 1. Each blogger should answer the questions the tagger has set for them. 3.Create 11 new questions for the chosen bloggers. 4. Go back to their blogs and tell about the nomination. 1. Favourite clothing item your own? 2. What would you tell your teenage self? 3. Three adjectives to describe yourself? Obsessed with Bang Bang by Jessie J, Ariana, and Nicki! 5. Drugstore or high end? 9 times outta 10 highend but I do normally use drugstore makeup. 6. Where would you like to travel to? I’d love to travel to Europe! 7. Last concert you’ve been to? Makeup – I do love my Olay moisturizer. Can’t go a day without it. Playing Barbies and American Girl dolls with my sister and Kelcey. 10. Makeup staple in your routine? 11. Favourite part of blogging? My favorite part has to be being able to say and talk about whatever the heck I want! I also really enjoying reading about other peoples lives and ‘meeting’ new people!! 6. I have a long white hair that grows out of the bottom of my ear and it always grows back! 3. Your favorite movie of all time? 4. What is your worst nightmare? 5. Name brand or knock off? 9. What/where was your favorite vacation? 10. If you could duet with 1 singer, who would it be and what song? 11. What is 1 thing you CANNOT live without? Alrightyyyy, GO! That was fun. Good luck everyone & don’t forget to pass it on!